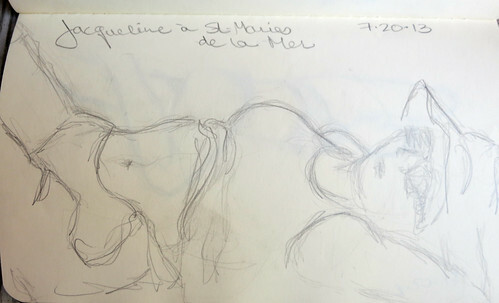 Last year when we came to France I brought tons of art supplies, most of which sat untouched all summer. 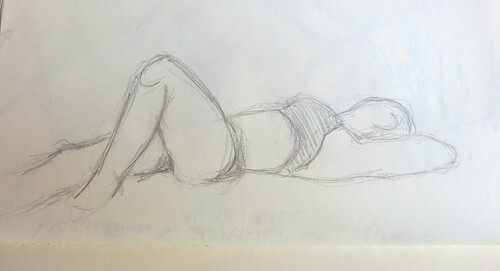 This year I decided to keep it simple; I brought a small sketchbook and a few pencils and it's been a revelation. 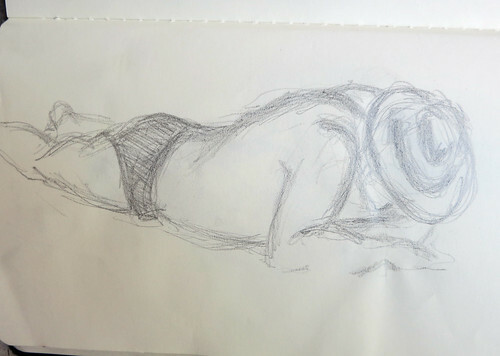 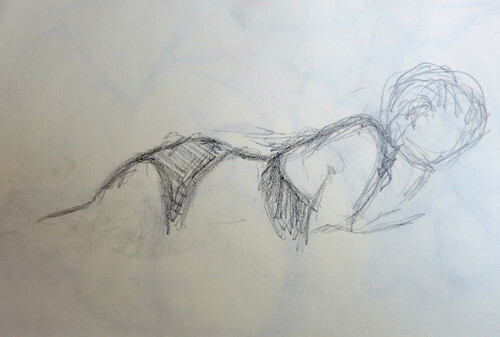 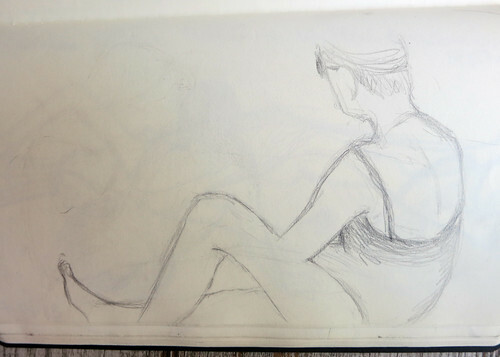 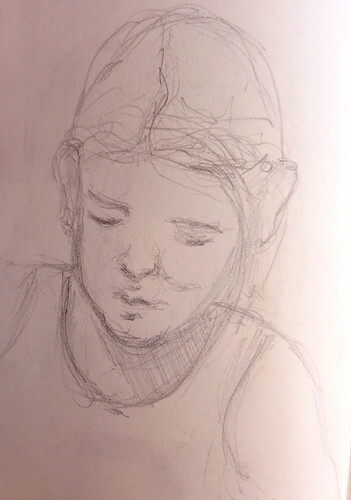 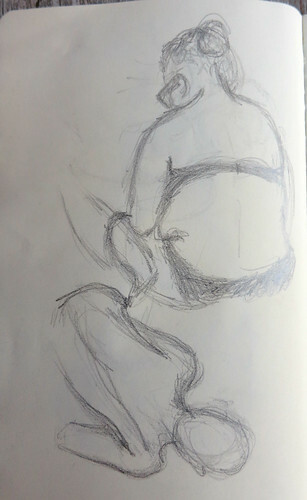 I sketch everywhere: in museums, in parks, but especially at the beach. 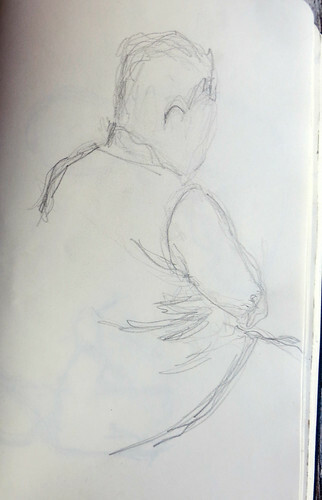 Having really only ever drawn models who stay still for many minutes, I had no idea how much people really move around. 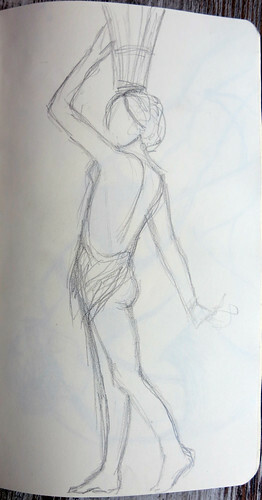 I'll start in on a sketch and a few seconds later, the pose is gone.